When Nina Sankovitch's older sister Anne-Marie died suddenly after only a few months of illness, Nina spent three years not coping particularly well with her grief. When it became clear that she needed to do some work to come to a better understanding and acceptance of her devastating loss, rather than merely running away from it, she decided to spend a year immersing herself in reading, as a way to connect with her book-loving sister, as a comfort, as therapeutic self-reflection, but mostly as a path to restore her focus on living a good life. Throughout the book, the story of the whole Sankovitch family is told, from Nina's Belarussian parents and grandparents experiences in WWI, with life, death, love and loss in every generation. The feeling of family prevades - a family deeply connected to reading. Unlike many challenge-for-a-year memoirs, this quickly settles in to telling the story of the real learning and transformational thinking that occurred during the year. Rather than dwelling on the logistics and obstacles of meeting her daily challenge, she quickly (thankfully!) settles in to a rhythm of reading. 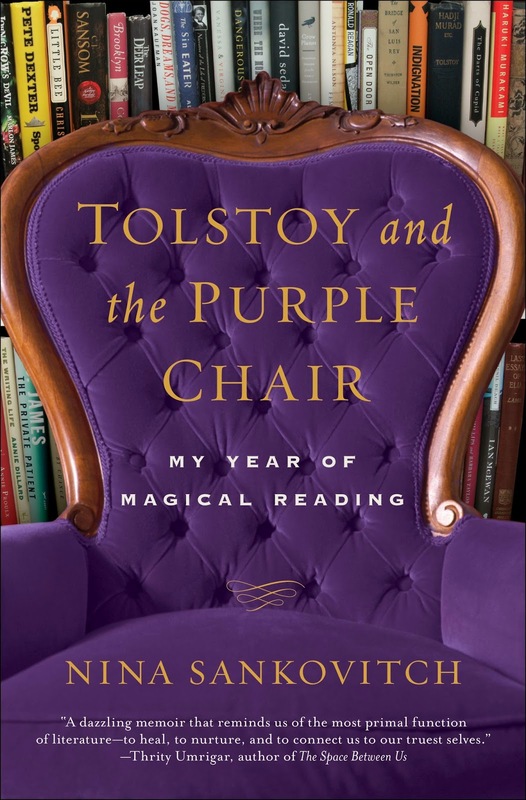 I was sceptical that she would actually have anything insightful to say reading at such a rapid pace, but Nina Sankovitch seems to have real moments of clarity, and does a wonderful job of translating that to the page. She does not attempt to discuss every book she reads (although she does include a booklist of title and author at the end of the book), but in a natural progression makes connections to her past, her heritage, and the events which unfold very coherently and in an unforced manner. Books loved anyone who opened them, they gave you security and friendship and didn't ask anything in return; they never went away, never, not even when you treated them badly. Love, truth, beauty, wisdom and consolation against death. Who had said that? Someone else who loved books. I found this book inspirational in a way I had not anticipated. Because I am a relatively slow reader, I assume that reading quickly for that long would not facilitate deep reading. I assumed that some days the "challenge" aspect would overwhelm the actual purpose of the project. But then I remembered that in 2010, I did a photography project in which I challenged myself to take a photograph a day. (Now, I realise that taking a picture and reading a whole book require significantly different time commitments, but I could identify with her experience through my own.) Some days I took a picture just to keep up my streak. In fact, once, very sick in bed, I called for my camera and took a photo of the ceiling. But I know that I grew immensely as a photographer that year and had many insights into the beauty that surrounds us, even on a grey day in January spent entirely in the kitchen. Clearly, Nina Sankovitch had a similar experience with the books she read. 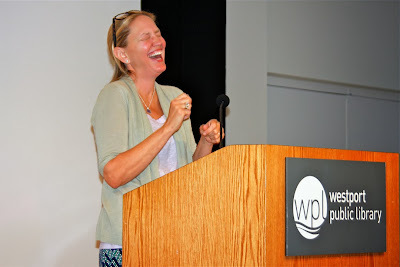 By forcing herself to push beyond what was typical, by forcefully immersing herself in other worlds, by commiting to it, focusing on it, and sticking with it, she was able to find some of the answers she needed to heal from her loss and come to terms with issues from many other aspects of her life. She writes about her relationship with her children, her husband, her extended family and friends and how the reading she did gave her greater understanding into each of these facets of her life and identity. I enjoyed this book much more than I was expecting. 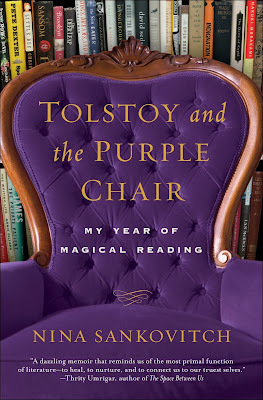 Nina Sankovitch is a talented writer with an ability to delve below the surface to find meaning in books. As escape and as entertainment books are wonderful, but they often have much to teach us about our own lives, how to live, and how to be happy. I can safely say that I will never take on the challenge of reading a book a day for a year. But her experience did offer wonderful insights about how to use books as tools of healing and guidance. I'm so glad you enjoyed this book too! Sankovitch's decision to write about her experience was a great one, although I think that reading a book a day would be far too much for me. I really enjoyed the great range of books she mentioned, particularly as a lot of them were less well-known, and she writes very eloquently. Her blog (Read All Day) is great to follow too. Yes, I wrote down a long list of books to investigate! There were a large number of titles and authors that were completely new to me. I especially liked how she went in to the project with the goal of healing from the death of her sister and ended up resolving, or at least coming to a better understanding of a wide assortment of issues in her life. I thank you for your email and I will be responding as soon as I have the opportunity. I appreciate it very much! Oh, thank you so much for this review. I wanted to read this book for ages but I was ambivalent because as you said book-challenge memoirs can be a bit dry. I'll definitely read this now! The idea of reading a book a day appeals to me. In fact I'm toying with the idea as a 2014 project. A few years back I challenge myself to take a photo a day every single day in the winter (I live in London, so there is no light whatsoever during the winter!) and I learnt so much about photography and I surely sharpen my skills. Thank you so much for your comment, Angeliki! I hope you enjoy the book as much as I did. It was a really fast read for me but left me contemplating the contents for a long time after finishing it. I look forward to following your reading challenge if you decide to go ahead with it - I'm sure it will be an inspirational experience!